Military Intelligence (abbreviated as MI, INT, or otherwise referred to as intel), simply put, is the information necessary for the decisive planning and execution of military operations. This article aims to present a general overview of intelligence in a government organisation or armed force, where the practice of obtaining, analyzing, and applying such information typically exists in its purest form. The Intelligence Cycle will be illustrated in a hypothetical scenario, wherein a socio-politically stable country, Alfa, is poised to render military aid to Beta, a country ravaged by politically-driven armed insurrection. Lieutenant Colonel (Lt. Col.) Randall, Commanding Officer (CO, otherwise referred to as commander) of 5th Regiment, 20th Infantry Division of the Alfan Army, has an important task to fulfill: Pull security for a high-risk diplomatic visit to the state of Beta, which has been torn apart by an armed insurrection. He has also been given the objective of establishing a secure zone for the re-administration of local government in the region. The belligerents (parties in conflict) consist the Republic of Beta Defence Forces (RBDF), the insurgent Crusaders of Dawn-Light (CDL), and civilian groups loyal to either side. The CDL has long struggled to push for improved quality of life with increasingly diminishing housing and employment support, without much progress. The Crusaders view the Republic’s seat of power as overly-authoritarian and pro-efficiency, to the extent where the government only acknowledges and serves the elitist class of population. They believe that the time for revolution has come and seek to revolt against the ruling party. With the help of a charismatic former Representative of the House, the Crusaders were able to garner active support from about 45% of the local population. They have since taken up arms after several confrontations with police, and have managed to capture an arms factory, along with a power station located in the capital city’s outskirts. It is Alfa’s and Beta’s common strategic goal to reinstate a more democratic form of government, restore peace and socio-political stability in what is left of the former Republic, and to build a highly-competent armed force capable of combating the threats it faces, including insurgencies and terrorism. The aim of the visit is to meet with ministers and government officials to achieve a consensus for possible steps to resolve the ongoing national crisis, and to delegate efforts to the various agencies and offices. The diplomats expected to attend the meeting include the Secretary of State for the Alfan Confederation with a Council Representative, and the Prime Minister with his Foreign Affairs Minister from the Republic of Beta. It is scheduled to occur at 1600 UTC-2 (two hours behind Universal Time, Coordinated), on 5 May at the Beta Cabinet building, about nine kilometres away from recently lost territory. The 5th Infantry Regiment has a strength (no. of personnel) of 2500, mainly comprised of Air Assault (transported via rotary-wing aircraft), Mechanised (mounted on Armoured Fighting Vehicles), and Light Infantry Battalions. The Regiment has two other battalions, which are the Sapper (combat engineer) and Combat Support Battalions. Lt. Col. Randall makes a Request for Information/Intelligence (RFI) to the Intelligence Section at his base (staff designation S-2), highlighting his needs as per the mission objective. His RFI outlines four areas of interest, namely Background Information of Diplomats involved, Potential Aggressors and Threats to Diplomatic Party, Potential Instigators, and Viable Emergency Extraction Points. The Executive Officer (XO; a warrant or senior non-commissioned officer serving as CO’s personal assistant), First Sergeant (1st Sgt.) Baileys, receives the official request document and informs the Intelligence staff of the task. This is the first procedure of Intelligence work: Direction. The staff members (often groups of sergeants with specialised training and their civilian counterparts) set about their respective fields of Intelligence Collection. Perhaps the easiest is Open Source Intelligence (OSINT) as it comprises of publicly-available information from news, journal articles, and other forms of communication accessible to civilians on a daily basis. The Intelligence Section gathers and maintains an up-to-date, global record of every main newspaper and journal publication in an Intelligence library. Other disciplines include: Imagery Intelligence (IMINT; information derived from photographs and moving images, often taken covertly or clandestinely), Electronic Intelligence (ELINT; obtained via hacking of computers and digital information systems), Measurement-and-Signature Intelligence (MASINT; derived from electro-optical, radiofrequency and other sensory equipment), and Human Intelligence (HUMINT; information gathered by a clandestine agent performing espionage, or from an informant). It should be noted that the collected information can only be called Intelligence after it has been validated and evaluated by analysts in the Section. Otherwise the information remains as pure data, which is of little use in the planning and execution of operations. This stage is known as Processing and Exploitation. Depending on the source, the availability of information can vary. As mentioned above, OSINT is the most straightforward source of collection, with information readily available with little, if any, cost at all. Most data in OSINT are factual and are public knowledge. However, there are data which are published as propaganda to skew opinions of the common people. Intelligence personnel know how to sort through skewed information to derive the raw data, and possibly even use the propaganda to their advantage in finding the belligerents’ cracks or weak spots. IMINT is inherently dependent on the external conditions under which the image is taken (the type and amount of lighting, presence of pollutants etc. ), as well as the platform on which the camera is used (aircraft, maritime vessel, human etc.). This means that captured images may not always provide the information which analysts can use to exploit, such as a blurred image of a humanoid figure in a sea of tan and brown, where the identity and intent of the subject remains unclear. At times, it can be very difficult to get an opportunity to take an image of the subject of interest. ELINT is a high-tech field, which requires professional hackers with the expertise in tackling a variety of computer and software security systems. Skilled hackers can gain access to highly-classified data, such as an encrypted pattern or information of a particular asset. MASINT is similar to ELINT, but is more effective in obtaining valuable information by means of electro-optical waveband sensors, wherein high-tech spectrometry devices are employed in an area of interest to produce a detailed picture of various effects, such as detecting motion and infrared signatures, or even distinguishing and identifying camouflage from surrounding foliage. HUMINT can be said to be the trickiest source of information to work with, as informants and spies providing information can be deceived (human error, may also result from intoxication), compromised (working for the opposing side as a double agent), or even using their personal enemies as “targets of the state” to end grudges and feuds. When dealing with HUMINT sources, the information gathered should always be tested against a variety of independent sources for validity and accuracy. Much of the work involves psychology with behavioural studies, and HUMINT analysts often collaborate with asset handlers (also called case officers) in ascertaining the trustworthiness of the agents. When all the data obtained from the various sources have been authenticated, they are collated, translated into the organisation’s common language (not all information are available in English, and require the aid of linguistic specialists), integrated with existing knowledge, and then re-evaluated for their relevance and significance to the mission requirements. This procedure is known as Intelligence Analysis and Production, undertaken by specialists with the expertise in their respective disciplines. This allows the CO to fulfill his objective by developing a well-informed plan and implementing the best method of operation for the situation at hand. Analysts work with advanced software and resources to derive value from the information, which can be indicators or fore-warnings of events and incidents at a particular time and place, or more importantly, the people and properties that will be implicated as a result. Alfan male of mixed descent, centre-left politician in favour of libertarian policies. Betan male of native descent, firm political supporter of representative democracy. i. Improvised Explosive Devices (IEDs) planted along the road leading to, and around the Cabinet building. ii. Sniper from elevated positions around the city. iii. Assault on Cabinet building with small arms and grenades. iv. Guerrilla attacks on diplomatic convoy en-route to Cabinet building. v. Roadblocks and attempts on diplomats by irate protesters or assassins. i. Pareilles, Leader of the Crusaders Western Operations Group; est. 250 insurrectionists under his command. ii. Thorpe, Leader of the Solstice Task Force; est. 110 insurrectionists under his command. iii. Venoska, Leader of the Herald of Dawn protest group; est. 230 protestors under her command. i. Northeast exit; escorted by Close Protection teams and extracted by Audi A8-L Security vehicle convoy (three decoy and one support vehicle). ii. Southern exit; escorted by Close Protection teams and extracted by three M1126 Stryker eight-wheeled AFVs (two armed with 40x53mm automatic grenade launchers, and one with 12.7x99mm machine gun). Once the report is completed, it is submitted with the Intelligence Section’s recommendations to the Lt. Col. Randall via 1st Sgt. Baileys. This is the last step of the cycle: Dissemination of Intelligence. Upon receiving the Intelligence report, he calls a meeting with the COs of 20th Infantry Division and subordinate battalions. After reviewing the gathered Intelligence and weighing the risks, the commanders decide to utilise sniper teams from the Light Infantry Battalion, who will infiltrate into potentially hot (high conflict) areas in Beta to provide timely surveillance on developments and hostile movement, as well as eliminate any significant threats with surgical precision. The sniper teams will commence their covert insertion three days ahead of the scheduled visit, and will be given operational priority to call in precision bombardment from strike fighters and artillery. Upon successful insertion into their Final Firing Positions (FFPs), the teams will begin relaying first-hand information to the commanders. It is then when the infantry and combat engineer companies move in on Stryker AFVs, forming the main effort of the operation. Each company consists of four platoons with 30 soldiers, each having five squads of six troops; employing a manoeuvre element of three men each The troops will receive supplies from the Combat Support Battalion via convoys after IED and mine-sweeping operations have been completed by the Sappers. Air support may be called in at any time during the operation, which is expected to last no longer than five days. The Air Assault Battalion is prepared to sortie within 15 minutes, being maintained on high alert, with each company rotating every six-hourly throughout the operation. Additional firepower can be requested from an Alfan Navy aircraft carrier providing support in the regional sea, which also serves as an interim operating base. Platoon leaders will attend the briefing one day before the operation, with the troops themselves getting briefed on the morning of the main effort (T- 7 hours from scheduled visit time). The Intelligence cycle will repeat itself when more information or verification is needed by the CO, usually brought about by situational changes in the field. The commander receives timely Situation Reports (SITREPs) from tactical elements via the Operations Centre, which facilitate decision-making in response to developing situations. 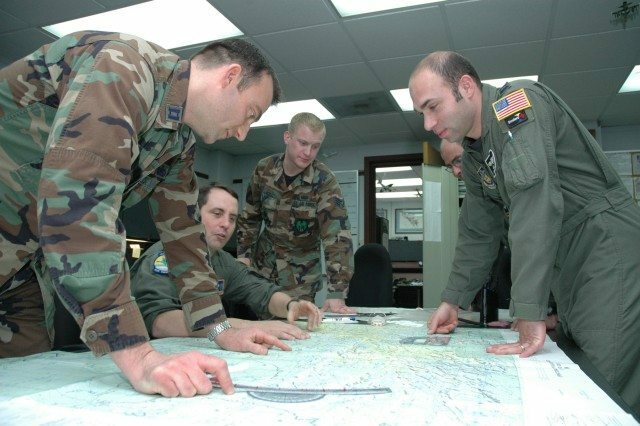 As seen in this hypothetical military scenario, Intelligence plays an essential role in the Command’s decision-making process; it gives the commander and his subordinates the clairvoyance in planning their next move in consideration of variable battlefield factors. Such information is critical, not only to the mission’s success, but also to the safety and security of the service members involved. In today’s dynamic landscape, Intelligence is even more important as more unconventional methods are used by adversaries. The commander and his Command staff need to stay informed and be two steps ahead of the enemy before complications arise. In the event of a complication, the information gathered by Intelligence can help to mitigate casualties and provide the best step for commanders to take.